Cream Ale is a distinctly American beer style that is refreshing and smooth. It has enjoyed a resurgence recently as many microbreweries have taken up the style and even improved upon commercial versions. In the UK, the term “cream ale” is also used to describe nitrogen-dispensed beers that have a rich creamy head, though these ales bear little relation to the American style. The term “smooth ale” is now more commonly used to describe these beers. Cream ale is essentially an ale brewed with ale (or a blend of ale/lager) yeast at lower temperatures, but then are cold aged. The beer is brewed from American 6 row barley usually with corn adjuncts. The flavor profile of a cream ale has a hint of malt, along with a sweet corn-like aroma. A hint of DMS is common due to the lager yeast. The hop and malt should be balanced with neither dominating. They generally have a crisp body with a clean finish. Starting gravities are in the medium 1.042-1.055 range, and color ranges from pale to moderate gold color (2-5 SRM). Bitterness is subtle but balanced, in the 15-20+ IBU range. Cream ales are served refrigerated and highly carbonated. The bulk of the grain bill (80%) for any cream ale is American malt, usually 6 row pale barley malt, though sometimes 2 row is used. Corn adjuncts such as flaked maize may be used for up to 20% of the grain bill. Corn based sugars in the boil are also commonly added in the place of corn. Other adjuncts are less common, but some recipes use carafoam or very light caramel malt to add body. American hops should be used, but it is wise to avoid high alpha modern hops which can unbalance the pale malt flavor. Noble hops are also acceptable. The normal hop schedule uses both boil and finishing hop additions to add to the flavor profile and aroma. The choice of yeast and control of fermentation temperature is perhaps most important to this style. 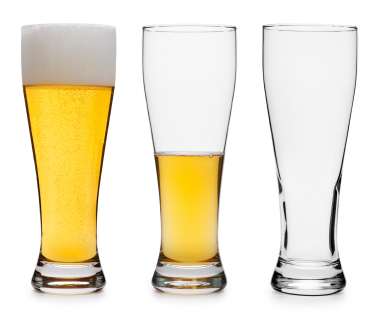 Some modern brewers often use a mix of ale and lager yeast strains, though historically just lager yeast was used. American lager strains, perhaps mixed with an American strain ale work best. Fermentation temperatures should be controlled, though fermentation is done well above normal lager temperature ranges. Generally fermentation in the 65-68F range provides a reasonable balance without excess ester production from the lager yeast. Many modern cream ales are cold lagered to enhance clarity and flavor, though historically cream ales were not lagered in this way. If you do lager, I recommend keeping the beer at cold temperatures (around 40F) for several weeks once your beer has completely fermented and has carbonated if you are bottling before lagering. Cream ale is designed as a cold refreshing drink on a hot day, so it should be served cold and well carbonated (2.6-3.2 vols) much like a lager beer. More recipes are available on the BeerSmith Recipes Page. Thanks again for joining us on the BeerSmith Home Brewing Blog. Don’t hesitate to subscribe for regular delivery, leave a comment or drop a vote on your favorite social web site if you enjoyed this week’s article.